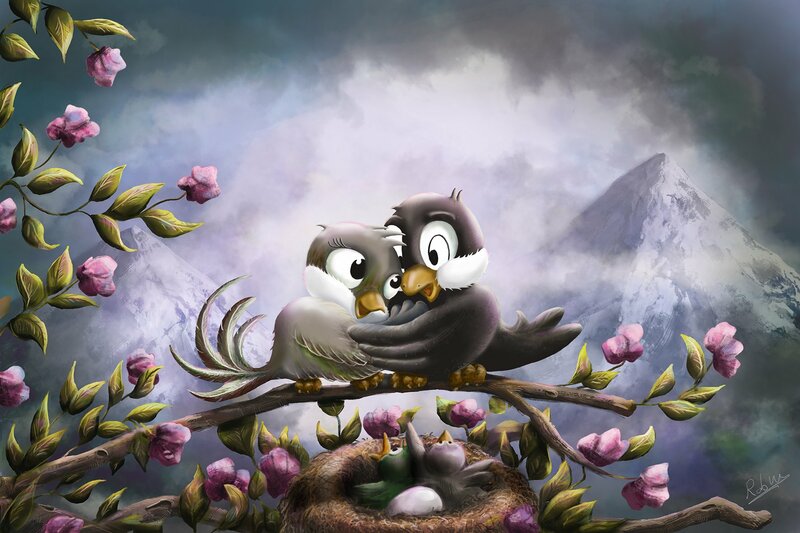 Finished my “Birds in Love” painting. This one is done in Photoshop with different brushes and techniques. hope you like it! Finished my Birds in Love painting. This one is done in Photoshop with different brushes and techniques. Hope you like it.